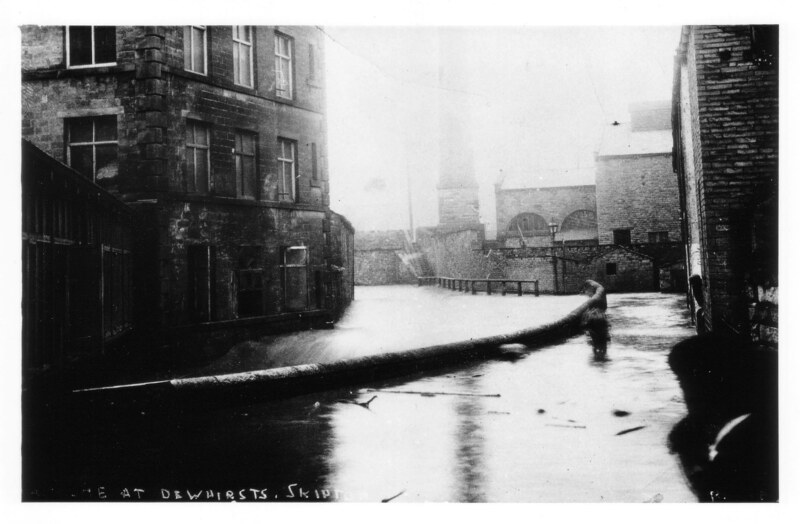 That which at first sight appears to be the beck with debris floating on it, on the right hand side, is in fact the path leading to the steps by Victoria Mill chimney and up onto the canal towpath. The actual beck, which emerges from under the canal, is a raging torrent completely filling the deep gully on the left. What appears to be a waterfall is a small weir where the water starts to go under Belmont Street and on past where Focus and Morrison's are now.